As NZ Music Month dawns the new releases keep coming thick and fast as bands and labels hope to capitalise on the combination of publicity and parochialism that can see local acts' sales figures soar during May. I know I'm sounding a bit cynical but, while there is need for a debate about whether the states' intervention in the NZ music scene has been responsible for the promotion of bland international sounding acts over more diverse talent, I'm actually a fan of NZ Music Month. I like the idea of celebrating local music, after all that's why I put together Counting The Beat - it's certainly not for fame or fortune. My partner also likes NZ Music Month, if only because it means I might buy some new clothes. Anyway, here's another selection of great new releases - all from acts who have been on the scene for a good while. How many great records has Chris Knox made? And how many units has he sold? Proving there is no universal balance of justice and good the latter figure may be only slightly larger than the first. Slugbuckethairybreathmonster is one of my favourite records of all time, Not Given Lightly is the favourite of many more. Knox's latest is his second album with The Nothing titled A Warm Gun. I think his songs benefit from the organic sound they get in a band setting, and he has some really good players in The Nothing, which appears to be heading towards becoming a real band. 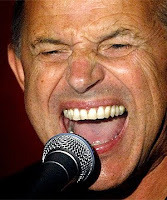 The album includes a couple of good old thrash outs but the best songs are the one which provide a sympathetic setting for Knox's lyrics to shine through. There are also some nice touches of strings and horns on some numbers which serve to complement rather than distract from the songs. Bookending the album are two different versions of 'All I Want Is You'. The second takes a bit of an everything but the kitchen sink approach to instrumentation that nicely combines Knox's pop song writing talent with his quirky musical approach. It's songs like this that mean while it may not be up there with some of his Tall Dwarfs' classics this is a record that will stick in your head and be one you come back to. 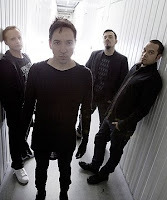 Shihad are another band I've been listening to for ages, ever since they embraced post-punk to their metal hearts and released the awesomely powerful Churn. They have always been an incredible live band - I particularly remember one show at the Powerstation, where they played the club like it was a stadium and left me soaked and speechless. However, their recorded output hasn't always grabbed me - while I love Churn, the "fish album", and most of The General Electric, Love Is The New Hate just didn't do it for me, apart from 'Saddest Song In the World'. Now Shihad's seventh album, Beautiful Machine is out. This is more of the of the big stadium rock ballads we have come to expect from Shihad and while that is not normally my cup of tea they do it so well I just can't seem to help but like it. You know, returning to the theme of NZ Music Month, I don't know if I would listen to this music if it was from an overseas band. Perhaps it's my cultural nationalist tendencies that overcome my normal reaction of avoiding anything that would play on The Edge. The third release from an old fave comes from HDU or High Dependency Unit (they seem to use the names interchangably). Metamathics is only their forth album since forming in 1994 and follows a gap of 7 years since Fireworks that was punctuated only by the singles Tunguska (clip on video page) and Stupormodel, both now included on the album. The album doesn't herald any great change in direction, and that is just fine by me. It combines rip-roaring punk songs like 'Stupormodel' and long feedback drenched soundscapes like 'The National Grid' that remind me of a better recorded Dead C (again, no bad thing). The whole album is streaming on the HDU myspace page. There is also an earlier Counting The Beat episode featuring HDU available to download. Now, go buy some kiwi music - or don't you love your country?